“We recall with immense gratitude his great affection towards Ireland”, noted Cardinal Sean Brady, Archbishop of Armagh and Primate of all Ireland, as he reflected with Emer McCarthy on how Benedict XVI’s pontificate impacted the Irish Church. Pope Benedict may have never made it to Ireland, but there can be little doubt that Ireland, the faith of the nation and its people, intensely engaged this pontificate. There was his unprecedented convoking of the entire bishops conference in 2010, in the wake of the revelations of the depth of the abuse scandal within the Irish Church, and his Pastoral letter to Irish Catholics. “We met to discuss the abuse crisis” says Cardinal Brady “and of course there was the great honour he did Ireland in writing the Pastoral Letter, I think the Chinese people were the only other people to receive such an honour. 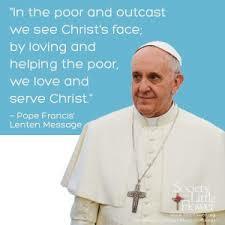 He chartered the way forward for the Church in Ireland and advised us on what to do”. Doubtlessly, Pope Benedict’s choice of Dublin to host the 50TH International Eucharistic Congress in June 2012, was part of the process of healing and renewal for the Church and society. 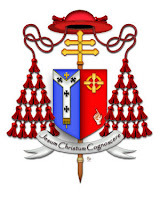 Cardinal Brady notes: “My last meeting with the Holy Father was on the 15th of November at the end of the plenary of the Pontifical Council for Unity when we both rejoiced over the success of the International Eucharistic Congress [held in Dublin, Ireland, June 2012]. I think it was a great act of trust that he entrusted that Congress to Ireland, to Dublin”. Again the Holy Father’s concern for the future of the Church was evident in his appointment of New York native Archbishop Charles Brown as Apostolic Nuncio to Dublin. The young theologian had formerly been an official at the Congregation for the Doctrine of the Faith, rather than a career diplomat. 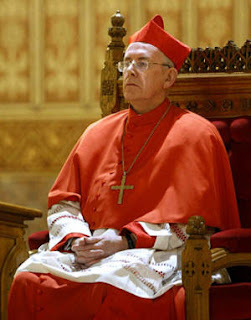 He had also worked under Pope Benedict when he was head of CDF. But Pope Benedict XVI’s interest in Ireland went beyond current difficulties and future challenges. Cardinal Brady points out that as a teacher and theologian at heart, Pope Benedict was also fascinated by Ireland’s legacy of missionary saints: “One of his Wednesday audiences he devoted to Saint Columbanus. In fact the arrangements were being made to present to the Secretary of State a petition to have Saint Columbanus declared a patron saint of Europe, but that will have to be put on hold for the moment”. The Primate of Ireland concludes: “The biggest legacy of all is his teaching, the example of his life, dedication to the end and then this courageous decision to step aside. This is typical of the man, not thinking of himself but primarily of the Body of Christ”.